MARK YOUR CALENDARS! 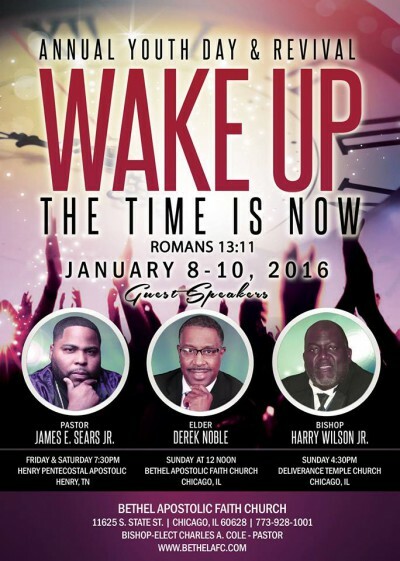 Bethel‘s Annual Youth Revival and Annual Youth Day January 8th – 10th! !